Kisame Sushi. 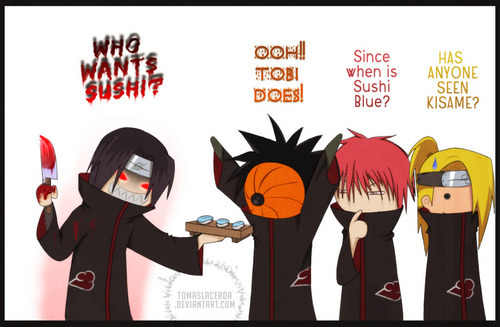 I wonder wat color Kisame is? :3. HD Wallpaper and background images in the Naruto club tagged: akatski. OMG lol thts funny no kisame! noooooo!!! !